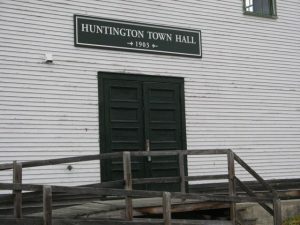 Funds for the new Town Hall sign were donated by HHCT and the sign was in place for the September, 2011, Open House event sponsored by the Town Hall Committee. The Town Hall Committee and HHCT believe that the new sign will identify this historic structure built in 1903 and will inspire participation in the building’s repair and continued use. HHCT, as a non-profit, will also assist the Town Hall Committee on future find raising efforts.